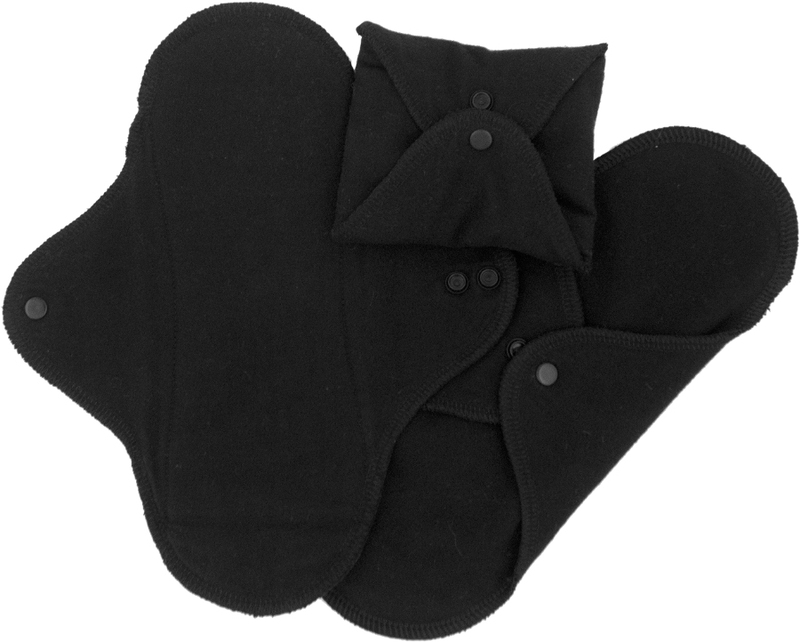 Made from super soft and eco-friendly organic cotton, these black reusable sanitary pads are an environmentally conscious option over regular disposable pads – and they’ll save you money too. The washable cloth sanitary pads from ImseVimse are designed to be used over and over again, lasting years with proper care. They contain one layer of polyurethane laminated polyester to protect against leakages, and the fabric is Oeko-Tex Standard 100 certified. The wings feature a popper fastening to keep them in place through the day. Organic cotton is grown without the use of pesticides and chemical fertilisers making it safe for farmers and kinder to the environment, reducing soil erosion and destruction of local habitats. Organic cotton is also extremely kind to your skin, feeling soft and gentle so it’s the perfect fabric for reusable sanitary pads. 100% organic cotton with a PUL layer. Rinse or soak the pads in cold water after use or just let them dry as they are before washing. Wash the pads at 60° with your regular detergent. Do not use fabric softener since that will ruin the absorption of the pad. Try adding some vinegar in the rinse water. Let the pads dry hang. If you hang them in the sun for a day it will effectively help fade stains. The ImseVimse Black Reusable Sanitary Pads - Regular - Pack of 3 product ethics are indicated below. To learn more about these product ethics and to see related products, follow the links below. 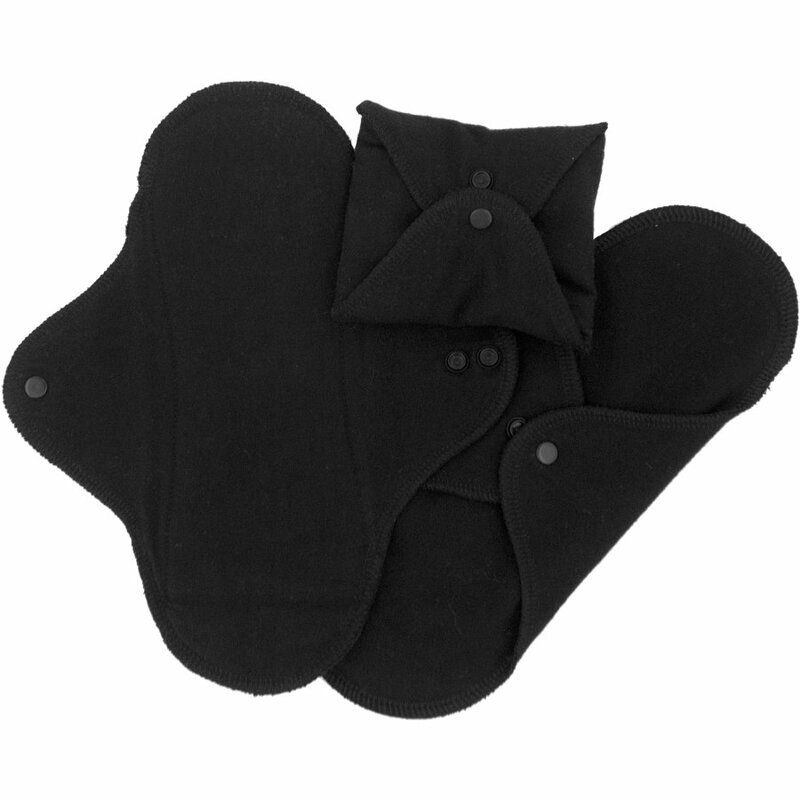 There are currently no questions to display about ImseVimse Black Reusable Sanitary Pads - Regular - Pack of 3.